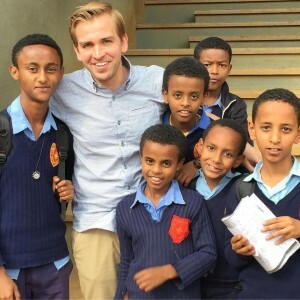 In June 2018, students and faculty members from Mullen High School in Denver, Colorado, traveled to St. John Baptist de La Salle Catholic School in Addis Ababa, Ethiopia. Mullen High School is one of five schools in the Lasallian Region of North America twinned with St. John Baptist de La Salle Catholic School. Mullen’s twinning coordinator, Elliot Gray, documented the group’s experiences in a personal account of the trip.